TalkTalk has become the latest of the big five ISPs to announce its annual line rental price rise. While many pay attention to the headline cost of broadband and pay TV, the mandatory line rental charge is becoming an increasing substantial part of the amount paid out by pay TV subscribers every month. The full YouView service depends on users taking on phone, broadband and TV from one supplier. As has now become the tradition, the latest line rental price rise is more than the rate of inflation. 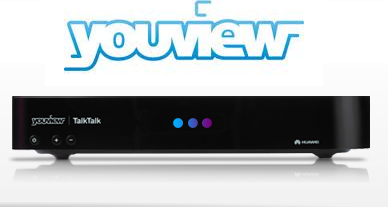 TalkTalk customers can now expect to pay £17.70 a month, or £191.16 for its annual "value" line rental option. Once again, BT and its sibling Plusnet started the annual price rise cycle. Sky usually announces its new line rental charges in the autumn, implementing them in December. Virgin Media has increased some charges, but it hasn't announced any line rental changes just yet. With wholesale prices for a landline having come down over the past five years, it's unclear how much longer the annual £1 addition to line rental among the large operators will continue. It's relevant for many customers, who bundle landline phone with broadband and TV services and are forced to pay for the increased cost whilst tied into a lengthy contract. In many cases, users who don't bundle TV with their landline and broadband services can often find better, lower prices elsewhere, although these may be difficult to locate due to the heavy discounting, retention deals and confusing tariff structures employed by the main ISPs, which may make some services cheaper at the expense of other, perhaps not immediately obvious, parts of the package on offer. Confusingly, many ISPs and pay TV operators now increase prices in two stages - generally once a year for phone related services and once a year for pay TV packages. Broadband charges can sometimes increase on both occasions, as TalkTalk's latest two price rises confirm. These charges can sometimes be renegotiated, providing you've got plenty of time to sit in a call centre queue to the retentions department.